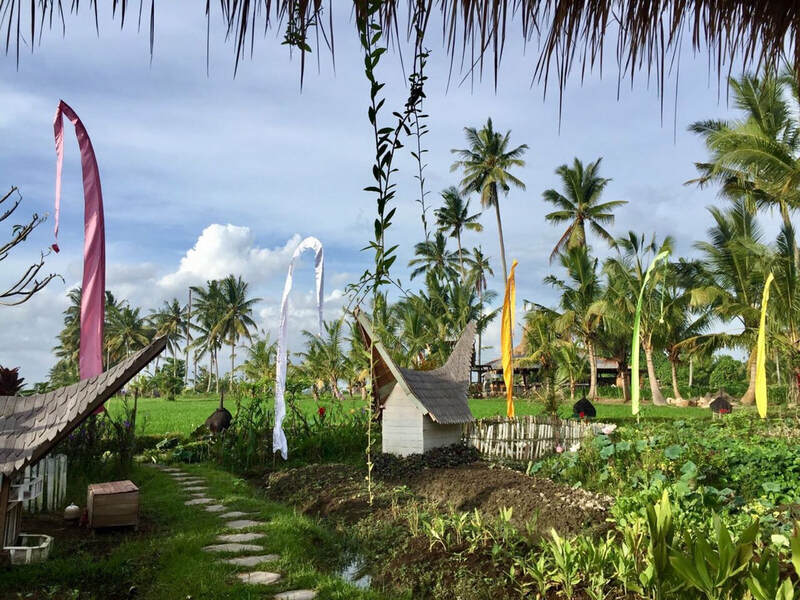 The Rice Joglo is located amidst expansive rice fields, just 20 minutes scenic walk to the centre of Ubud. Guests have found that this immersion in green calms mind and body, while offering an authentic connection to nature, culture and to each other. 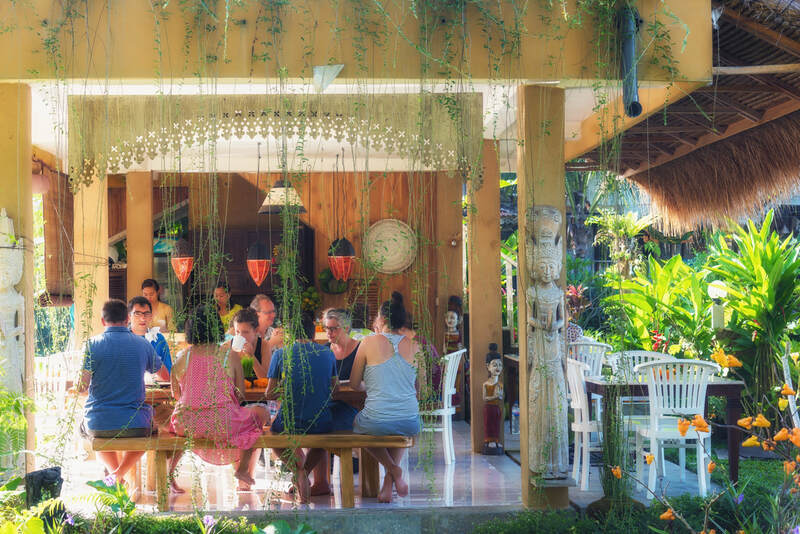 We also love to connect our guests to local experiences such as temple ceremonies or family dinners, to experience first hand the warmth and generosity of the Balinese spirit. Just ask us what's possible - there are different ceremonies, both public and more private, depending on the time of year and the Balinese calendar. Explore the organic garden - or even get your hands dirty! All year round the garden yields interesting and fresh produce for your meals. The ground, ponds and animals are constantly and enthusiastically tended by Made the gardener, who together with Sonu has created a layered and textured garden with plants and climbers, and homes made of water and wood for our assortment of animals and wildlife. The ducks recently got their own "Joglo"! Their own haven for swimming, chilling and laying their eggs. Watch the morning light dancing across the rice fields at breakfast in the open kitchen. Take a swim overlooking the vast expanse of rice fields. Or relax in the shade of a traditional Balinese bale, with a book or your own imagination.. There's no better feeling than the earth beneath your hands as you pick your fresh produce and eat it straight away. 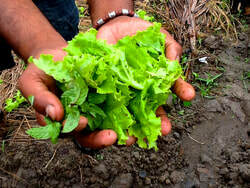 As a Joglo Guest you can pick and cook your own produce from Sonu's orgainc garden. Or ask Made our gardener to pick it for you. As a guest you are welcome to spend time in the garden working alongside our gardener Made . Ask him about preparing the soil, and how to use sun and water to create a garden suitable for the Bali climate. You can learn to grow your own! A local chef can be hired in house to cook your meals in the open kitchen. 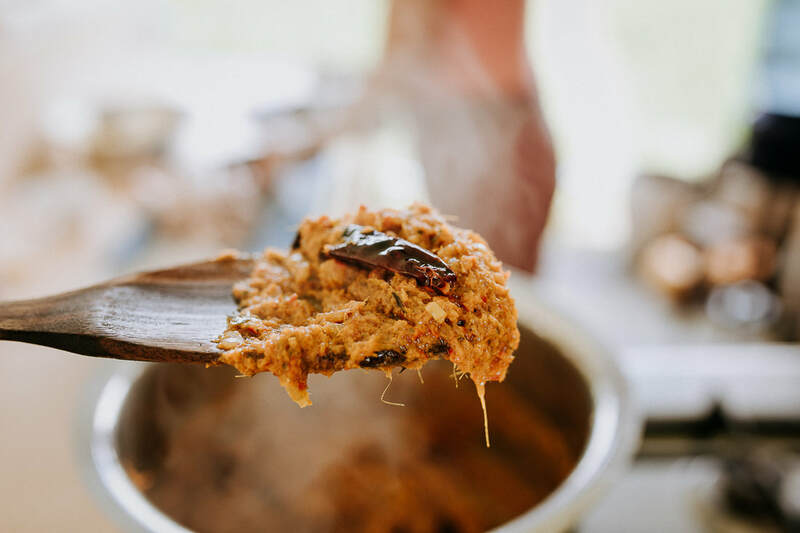 You can also book a personalised Balinese cooking lesson to suit your needs. Specialities include traditional Balinese spice blends, Balinese Campur, Cap Cay and Traditional Smoked Duck. To complement the vegetables, our ducks provide fresh eggs each day, perfect for your breakfast, in the comfort of their own custom made Joglo. Discover the other animals on the property - and the mystery guest in the other Joglo! There are in house services on offer, as well as help with organising tours and activities - just ask us..
activities for culture, relaxation or adventure.